Can the company provide proof of Commercial Liability Insurance? If so, do they carry an adequate level of coverage? - Security Pros, Inc. This is a critical consideration when hiring a security provider because many providers are uninsured or underinsured leaving their clients (YOU) exposed to full or partial liability. Check the amount of coverage. The security company and its officers are acting as your agent. If the security company is not properly insured you could be held liable for any wrongdoing on their part. It is also a good idea to have the insurance agent list you as an additional insured “certificate holder” on the security company’s policy and mail/email the certificate of insurance directly to you, including renewals. Our specialized commercial liability policy number is BSPKG0097301 through BrownYard Group, Inc. / Arch Insurance Company. Our policy contains specialty coverage specific to security work, such as lost key coverage and errors/omissions, that a general liability policy would not contain. 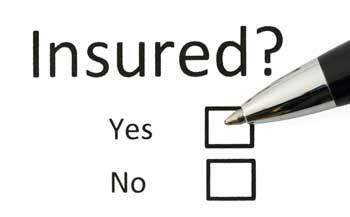 We carry an aggregate limit of $5,000,000.00 (five million dollars) of coverage. This is 2.5 times greater than most security companies in our region carry….if they have insurance at all.